Bullseye powered by Handshake is an online service that makes it easy for UB students and alumni to connect with employers. If you are looking for a job or internship — or you have a position to fill — we encourage you to login and start managing your search today. Post jobs, internships and view resumes to get the right candidate for you. Bullseye powered by Handshake helps you to easily find, recruit and hire the best UB talent by connecting with students both online and/or on campus. View how-to create an On Campus Employer Account for special instructions. Need Help: Problems Creating an Employer Account, Posting a Job or Internship, or Managing Applicants? Narrow down potential hires to the best fits through our advanced filter options. Schedule on campus interviews, register for upcoming career fairs, or set up your own events. Then manage the logistics & payment all through Bullseye powered by Handshake. See a candidate you like? 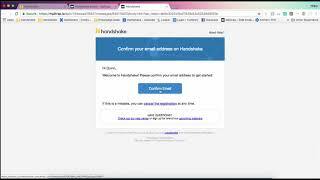 Contact students directly through Bullseye powered by Handshake. Need a quick start to your experiences? Access the how-to tutorials (below) to find with videos and articles that will help you get started. More questions about how to use Bullseye powered by Handshake? Here are some video tutorials to get started. This video will help you set up an employer account. This video will help you post a job or internship. This tutorial will teach you how-to register for a career fair. Have a Problem with Your Account? Having trouble logging in? Submit a help request below. Are you a current UB student or alumni?